Like any good woman who had a day off from work, I handed my man a martini the moment he walked through the door. When I asked how it was, he responded, “boozy”. There’s good reason for that – I had made him a Vesper. I’ve mentioned this cocktail before in a post focused on Vermouth and Manhattans, but the inspiration this time was grapefruit bitters from Fee Brothers. I purchased the bitters a few weeks ago and hadn’t had a chance to make anything with them yet. I knew gin would be a good match and after that, I based it on what was in the house. 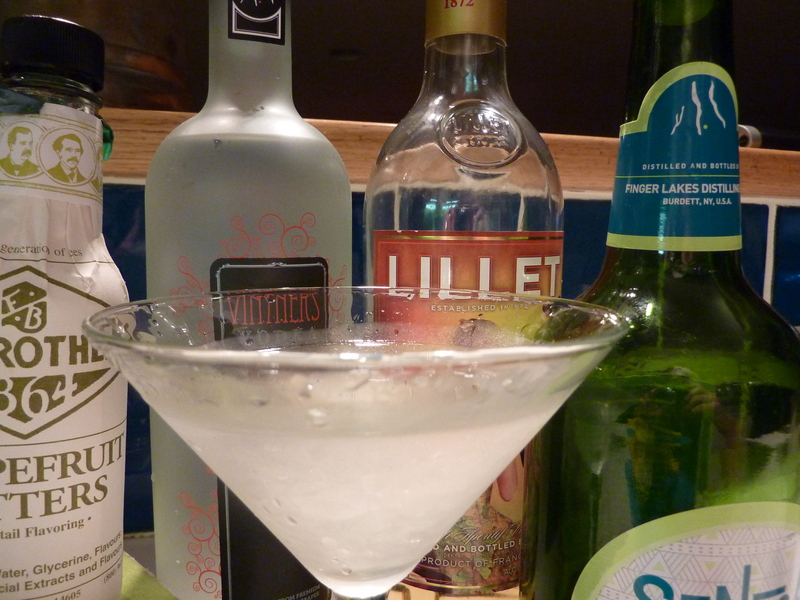 3 parts gin, 1 part vodka, 1/2 part Lillet, shaken over ice. I chilled the martini glass and put 3 dashes of the bitters in and then strained my boozy mixture into the glass.